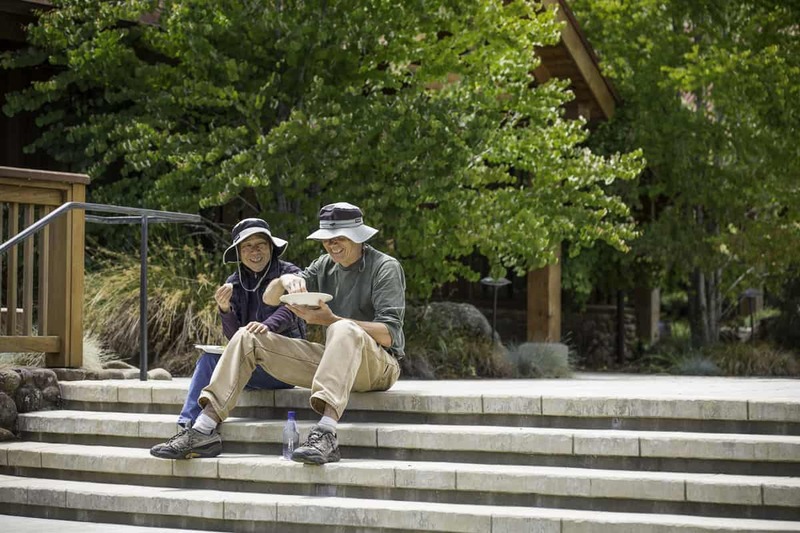 Living at Ratna Ling means being a part of a uniquely hard-working spiritual community. The work commitment time is 6 days/week, 8-10 hours/day. The weekly day off varies depending on your project assignment. Wednesday morning from 8AM-10AM is dedicated to community chores, upkeep of the property, and community meetings. The rest of Wednesday’s work practice is with regular assigned projects. Usually 2 evening classes are transmitted from our sister center, the Nyingma Institute in Berkeley. Classes and study sessions vary throughout the year and are subject to change to fit the needs of work projects and the community.